In brief: A wide array of sobas, cold, dipping, hot, warm, everything. I am partial to the cold dipping ones but almost everything we've had is wonderful. M. was out on Friday and I had errands to run before leaving for Boston so I thought I would quickly grab a solitary meal of my favorite cold dipping soba at our old haunt, Cocoron. 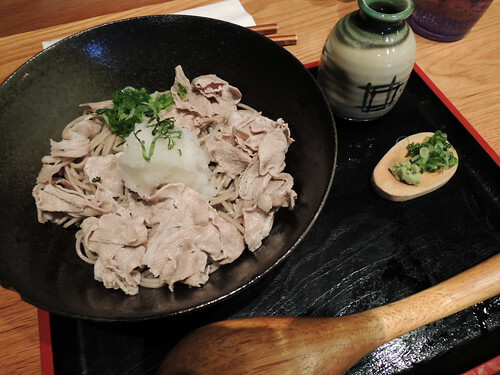 It turned out not so quick when I ran into Colin, who, it seems, is always there when we're there, but also because, I suppose, you can't rush soba. That's ok because I was thoroughly happy, even as I ran out the door.